Gankutsuou is an anime based off a loose adaptation of the novel, The Count of Monte Cristo, by Alexandre Dumas. It tells the story of Albert Morcerf, a young aristocrat who happens to befriend a wealthy nobleman, known as The Count of Monte Cristo, through a series of bizarre events. Fascinated by the Count's charm, Albert invites him to meet his friends and family, all of whom happen to be part of the upper class society of Paris, France. Unfortunately, little does Albert realize that the Count has ulterior motives in mind. 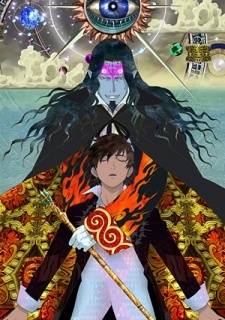 Watch Gankutsuou: The Count of Monte Cristo Episodes Online at Animegg.org. Gankutsuou: The Count of Monte Cristo is available in High Definition only through Animegg.org. Choose an episode below and start watching Gankutsuou: The Count of Monte Cristo in Subbed & Dubbed HD now.